So how do you carry your skis? And you risk being labeled a gaper — someone who doesn’t have a clue. Some people carry their skis over their shoulders. That’s what I generally do, tails forward, though I’ve heard strong arguments for tips forward, too. I guess it just comes down to a matter of preference. But not everyone likes to carry their skis that way. 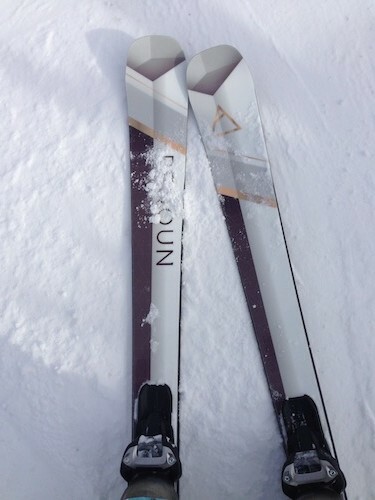 The bases can slip, causing the skis to shift around uncomfortably. And some people just find it awkward. 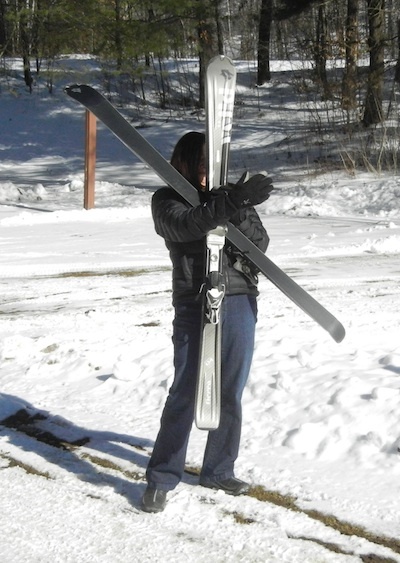 According to Ski-Lash, the carrier can handle both skis and poles, though I found that a bit difficult to manage. Maybe it’s something I could do with practice. Anyway, I found it a pretty good alternative to my usual carrying method. 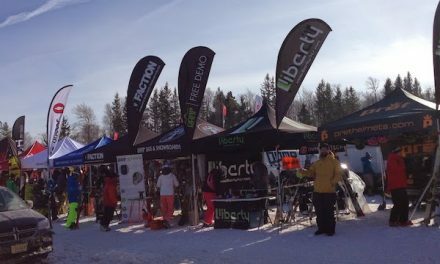 The carrier is very sturdy and secure, and I didn’t worry about it coming apart and ditching my skis along the way. 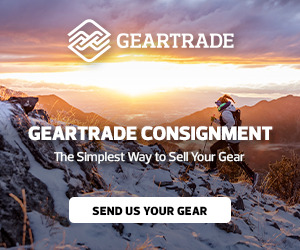 I think it’d be especially useful for kids, too, so they can learn to carry their own gear. And yes, there’s a junior-sized carrier available. It’s sturdy, well made, and pretty inexpensive. 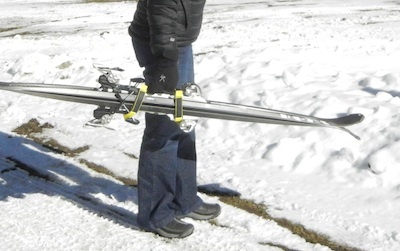 So if you’re having trouble carrying your skis, it’s definitely worth a try. Not so easy to fit your poles in with the skis, though that’s not a deal breaker for me. My rating: two ski poles up. I’m not the Morals Police, but really, guys? Thanks for the review and I’m glad you liked the Ski-Lash. 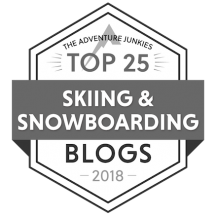 With respect to the difficulty in carrying poles with the skis, we have only encountered that problem when using thicker poles that don’t fit easily inside the blades of the ski brakes. 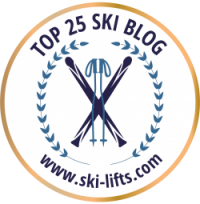 In that situation, the problem is easily solved by installing the Ski-Lash while the skis are leaning-up against a wall with the poles leaning against the skis, as opposed to installing the Ski-Lash while the skis are lying flat with the poles resting on top of the skis.